This research project exploits a network of emblematic regional research, development & innovation infrastructures and is hosted by the Faculty of Medicine of the University of Porto and its Cardiovascular Research Centre (UnIC), and by Centro Hospitalar São João, E.P.E. 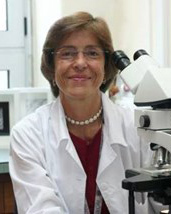 (CHSJ), the Institute of Public Health from the University of Porto (ISPUP) and its Epidemiology Research Unit (EPIUnit) and the Institute of Molecular Pathology and Immunology of the University of Porto (IPATIMUP) an affiliated research unit of the Institute of Research and Innovation in Health (I3S). 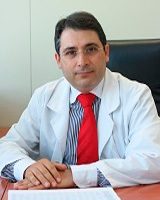 The decision to jointly study oncological and cardiovascular diseases represents a matter of public health interest. 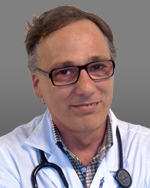 Oncological and cardiovascular diseases are the most prevailing diseases and the 1st and 2nd cause of mortality, respectively, in the Western World. Its growing prevalence is related to obesity epidemics and obesity-related comorbidities. Our main aim is to perform an integrated management of clinical, molecular and biochemical biobank data that enables a systems biology and public health approach to precision medicine in oncological and cardiovascular diseases, focusing on the role of DM and obesity, and using bioinformatics network analysis. To assess omics-derived markers association with the incidence, progression or activation of metabolic and other signalling pathways in gastric and thyroid cancers and intermediate phenotypes in the cardiovascular diseases continuum in the general population. Bastos P, Trindade F, Ferreira R, Leite-Moreira A, Falcao-Pires I, Manadas B, et al. EDTA-functionalized magnetic nanoparticles: A suitable platform for the analysis of low abundance urinary proteins. Talanta. 2017; 170:81-8. Francisco C, Neves JS, Falcao-Pires I, Leite-Moreira A. Can Adiponectin Help us to Target Diastolic Dysfunction? Cardiovasc Drugs Ther. 2016;30(6):635-44. Guerra M, Mendes-Ferreira P, Adao R, Pereira E, Vieira M, Lourenco AP, et al. Improvement in left intraventricular pressure gradients after aortic valve replacement in aortic stenosis patients. Exp Physiol. 2017;102(4):411-21. Mendes-Ferreira P, Santos-Ribeiro D, Adao R, Maia-Rocha C, Mendes-Ferreira M, Sousa-Mendes C, et al. Distinct right ventricle remodeling in response to pressure overload in the rat. Am J Physiol Heart Circ Physiol. 2016;311(1):H85-95. Pintalhao M, Castro-Chaves P, Vasques-Novoa F, Goncalves F, Mendonca L, Fontes-Carvalho R, et al. Relaxin serum levels in acute heart failure are associated with pulmonary hypertension and right heart overload. European journal of heart failure. 2017;19(2):218-25. Trindade F, Ferreira R, Magalhaes B, Leite-Moreira A, Falcao-Pires I, Vitorino R. How to use and integrate bioinformatics tools to compare proteomic data from distinct conditions? A tutorial using the pathological similarities between Aortic Valve Stenosis and Coronary Artery Disease as a case-study. J Proteomics. 2017. Trindade F, Leite-Moreira A, Ferreira-Martins J, Ferreira R, Falcao-Pires I, Vitorino R. Towards the standardization of stem cell therapy studies for ischemic heart diseases: Bridging the gap between animal models and the clinical setting. Int J Cardiol. 2017; 228:465-80. Savio A, Amaral AL, Nunes R, Ricardo S, Sarmento B, Almeida R, Tsukamoto H, das Neves J. A Mouse Intra-Intestinal Infusion Model and its Application to the Study of Nanoparticle Distribution. Front Physiol 2016; 7: 579. doi: 10.3389/fphys.2016.00579. Gullo I, Carneiro F, Oliveira C, Almeida GM. Heterogeneity in gastric cancer: from pure morphology to molecular classifications. Pathobiology 2017. doi: 10.1159/000473881. 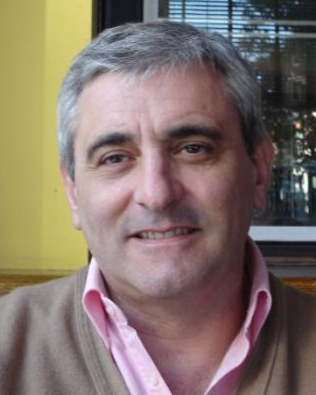 Alsina M, Gullo I, Carneiro F. Intratumoral heterogeneity in gastric cancer: a new challenge to face. Ann Oncol 2017; 28: 912-913. doi: 10.1093/annonc/mdx134. 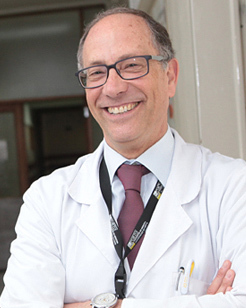 Gullo I, Gonçalves G, Pinto ML, Athelogou M, Almeida GM, Huss R, Oliveira C, Carneiro F. "Gastric cancer with lymphoid stroma: a study of clinico-pathological profile, Epstein-Barr virus, microsatellite instability, tumour immune microenvironment and PD-L1 status". 4th ImmunoTherapy of Cancer Conference (ITOC4). J Immunother Cancer 2017, 5(Suppl 1). doi: 10.1186/ s40425-017-0219-4. Rocha V, Ribeiro AI, Severo M, Barros H, Fraga S. Neighbourhood socioeconomic deprivation and health-related quality of life: a multilevel analysis. 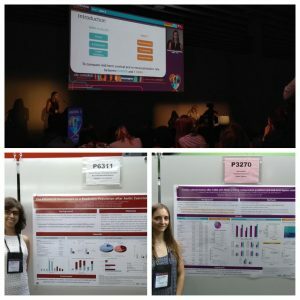 A UnIC – Unidade de Investigação e Desenvolvimento Cardiovascular da Faculdade de Medicina da Universidade do Porto (FMUP), esteve mais uma vez presente no Congresso Europeu de Cardiologia 2018, que decorreu de 25 a 29 de agosto, em Munique. 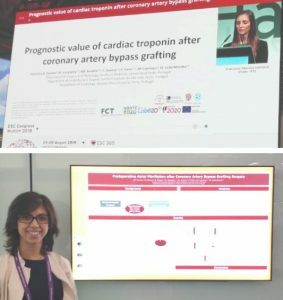 “Prognostic value of cardiac troponin after coronary artery bypass grafting” é o título do trabalho que foi apresentado pela Dr.ª Francisca Saraiva. O objetivo deste estudo retrospetivo foi avaliar o impacto prognóstico das troponinas cardíacas após a cirurgia de revascularização do miocárdio. A Drª Ana Filipa Ferreira apresentou o trabalho intitulado “Postoperative atrial fibrillation after coronary artery bypass grafting surgery”, onde descreve a importância do desenvolvimento de scores preditivos de fibrilhação auricular após cirurgia cardíaca. A Drª Francisca Saraiva e a Drª Ana Filipa Ferreira são ambas estudantes de doutoramento da FMUP e investigadoras da UnIC. 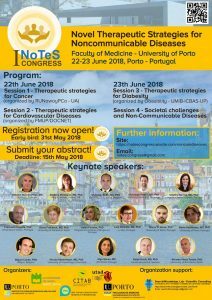 Encontram-se abertas as inscrições para o I NoTeS Congress - Novel Therapeutic Strategies for Noncommunicable Diseases que decorrerá no Auditório CIM da Faculdade de Medicina da Universidade do Porto (FMUP), nos dias 22 e 23 de junho de 2018. As doenças mais comuns da civilização moderna, que frequentemente resultam de uma incompatibilidade entre a fisiologia humana e o estilo de vida atual, são não-comunicáveis. Constituem exemplos a doença coronária, a hipertensão, a diabetes tipo 2, o cancro e a obesidade. O Congresso NoTeS pretende fomentar a discussão nesta temática, tendo por base os mais recentes avanços científicos na interação estilo de vida/doença, a par das novas abordagens que visam diminuir o risco e a progressão das principais doenças crónicas. 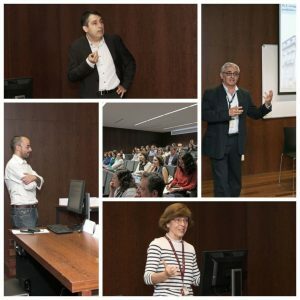 The first meeting of the project DOCnet (Diabetes & obesity at the crossroads between Oncological and Cardiovascular diseases – a system analysis NETwork towards precision medicine - NORTE-01-0145-FEDER-000003) took place on May 4th, 2017 at the Faculty of Medicine of the University of Porto. In the morning session, the project coordinator introduced the scientific concept and main objectives of DOCnet. In addition, each research line (RL) coordinator presented the specific objectives, as well as the scientific outputs and achievements obtained during the 1st year of its execution. In the end of each presentation, there were extensive discussions with the purpose of clarifying the main scientific objectives of each RL and defining strategies to optimize the links and interactions between the RLs. In the afternoon session, some of the work performed in the context of DOCnet was presented by the involved investigators aiming to foster integration of the scientific activities. This event was a success as it promoted an active discussion of the ongoing and future research activities within DOCnet while also allowing the interaction of all members of the consortium, as defined in the networking strategies. 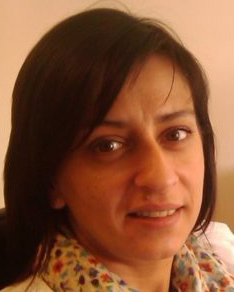 All scientific activities are being carried out accordingly to the proposed timeline and the milestones of each research line (RL), namely: i) RL1 - A multi-omics approach to decipher diabetes-related molecular targets in cancer: a step towards precision medicine (co-promotor: IPATIMUP – I3S; Responsible researcher: Fátima Carneiro); ii) RL2 - Cardiovascular phenomapping in the continuum from risk population to end-stage disease (co-promotor: UnIC – FMUP; Responsible researcher: Adelino Leite-Moreira), and iii) RL3 - Integration of metabolic risk markers into the expo some for prediction and prevention of oncological and CV diseases (co-promotor: ISPUP – UP; Responsible researcher: Henrique Barros). UNIC researchers, one of the project partners, was present in the last ESC, held in Barcelona between 26-30 august. The world’s largest cardiovascular congress with over 500 experts sessions and more than 4 500 abstracts contributing to the advancement of cardiovascular medicine worldwide. Renowned for its scientific excellence, the congress was a great opportunity for our researchers to present some of the results of the Project.